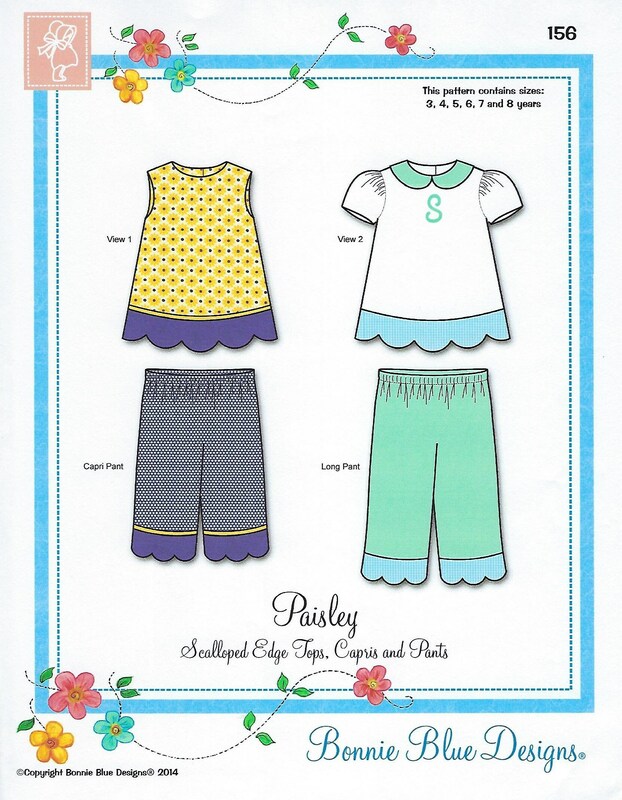 Package includes patterns and instructions to make Scalloped Edge Tops, Capris and Pants. View 1 - Summer sleeveless lined top with capri length pants. View 2 - Unlined top with Peter Pan Collar and gathered cap sleeves with full length pants. Top is closed at the back with buttons. Pants are pull-on with gathered waist. 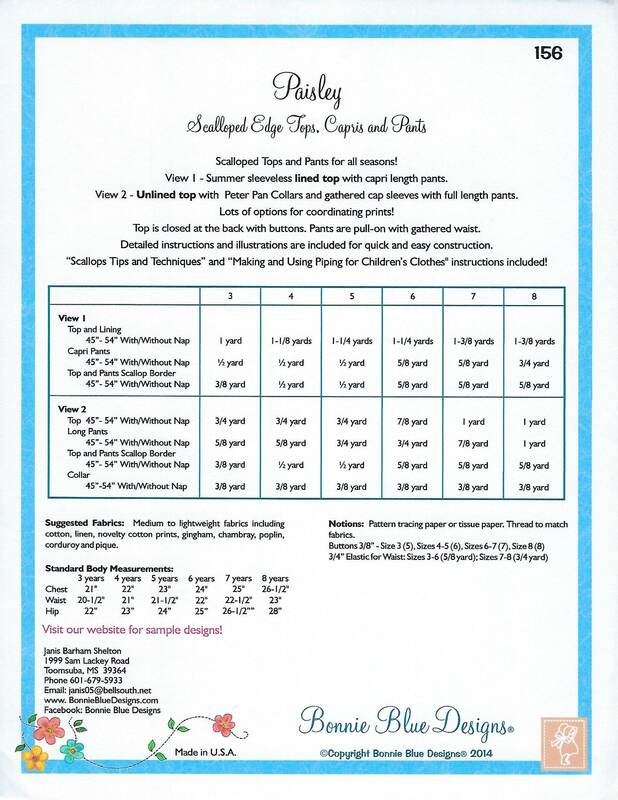 "Scallops Tips and Techniques" and "Making and Using Piping for Children's Clothes" instructions included! 3 yr, 4 yr, 5 yr, 6 yr, 7 yr, 8 yr - All sizes included in one envelope.